Sewing tip of the day. 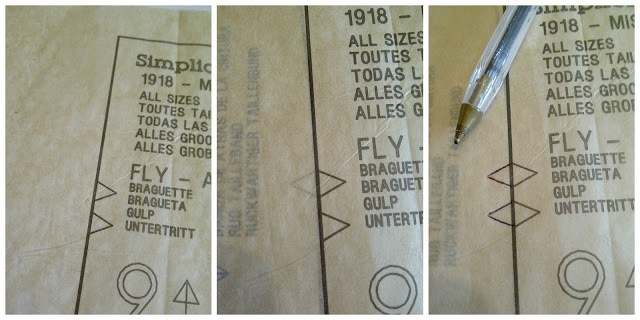 When cutting out your pattern pieces always remember to draw the mirror image of your notch out into the tissue paper. (if you have already cut the edge off sticky tape an extra piece on the edge). This will help you remember not to forget to cut the notches out. 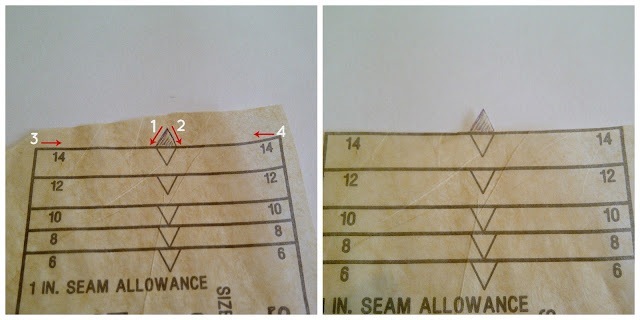 Then when your pattern is pinned on cut out around the paper notches very carefully and precisely. Notches are very important and help ensure you are putting the correct pattern pieces together They can also be used as markers along a seam to make sure that the two pieces of fabric will come together correctly.